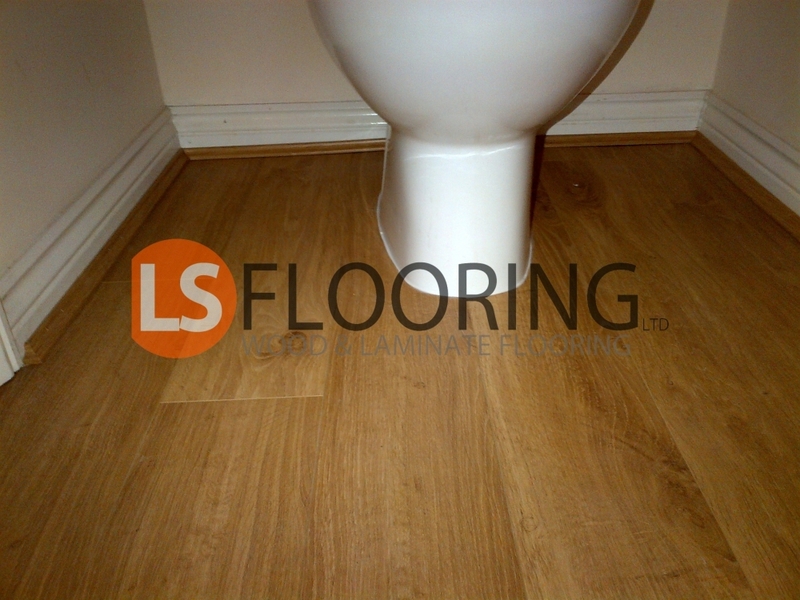 Elka 8mm Rustic Oak laminate flooring. Installed in downstairs toilet. Rounded finish around toilet flume.